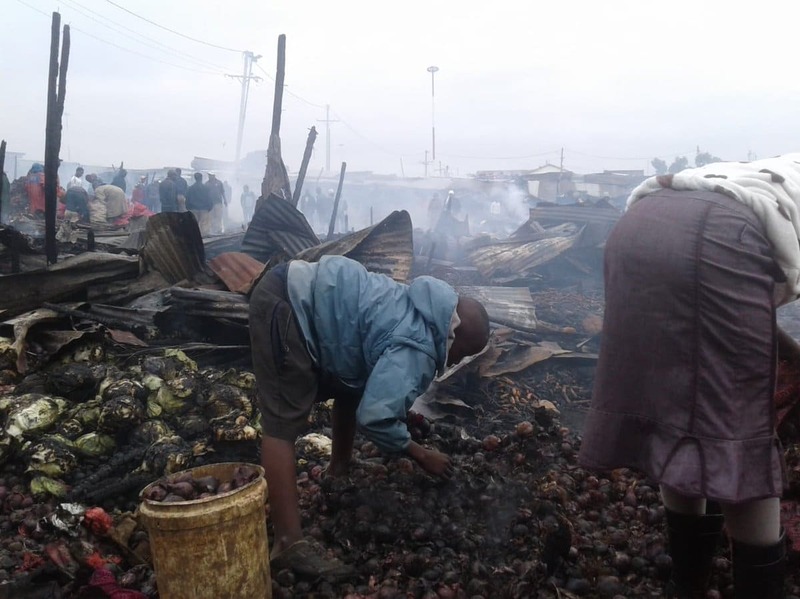 Barely hours before Gikomba fire was completely extinguished, Korogocho market was in flames as fire raged through the market on Thursday night. Traders were left counting losses after on Friday morning after goods of undetermined value were reduced to ashes. The incident reportedly started at 11 PM and the cause of the fire is yet to be established. Fire at the market in was contained by the Nairobi County Council fire brigade and the residents of Korogocho. Approximately 250 business premises affected by the inferno but no casualties were reported. This incident came barely hours after the Gikomba fire which led Nairobi Senator, Johnson Sakaja to urge the DCI to institute immediate thorough investigations and form a special team to find out the actual causes of these fires. Nairobi Women’s representative, Esther Passaris also called upon the departmental heads from the County Commissioner’s office, the Fire Department, Disaster Management, County Trade and market leadership need to explain to the public what measures they put in place to counter such fires.